In recent years, there has been no shortage of scientific papers dedicated to fucoidan's plentiful pharmacological effects in many countries. Still, unless the safety of fucoidan has been proven, all its health effects will be irrelevant. That is why we are currently in great need of reliable research data confirming that fucoidan is safe for humans. Concerning the safety of seaweeds themselves, Shiomi (1) reports on two factors: naturally occurring toxicants and harmful elements that can be found in seaweeds. 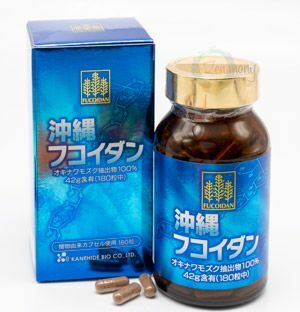 In 1980, Kasahara (2) reported on the safety of a polysaccharide called alginic acid, extracted from wakame seaweed. 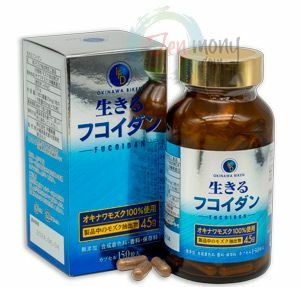 Alginic acid has been approved by the U.S. Food and Drug Administration (FDA), which was also acknowledged in Japan. The safety of another polysaccharide extracted from seaweeds, carrageenan, was acknowledged by the FDA in 1984, and its daily acceptable intake was changed from 0 to 70 mg/kg to "unnecessary to set a limit" based on data collected from 1969 to 1973. First, fucoidan’s safety was confirmed through the Ames Genetic Toxicity Test, which was published by Professor Bruce Ames at the University of California, Berkeley in 1975. This test examines whether the tested material affects the genes in an organism. This test proved that fucoidan extracted from the mozuku seaweed (Cladosiphon okamuranus) does not induce gene mutations (base substitution type or frameshift type). There was also no evidence that this type of fucoidan produces any genetically toxic material when undergoing metabolism in the liver. In acute toxicity tests on mice with a maximum single time intake of 2 g/kg, no disorders were seen. Next, let's introduce the results of fucoidan toxicity experiments conducted on rats and mice. Single and repeated (over one month) fucoidan oral administration tests. This test data were reported by Professor Uchida (3). Dry-frozen fucoidan powder (water content 9.41%) that had been hot steam-extracted from Okinawa mozuku (Cladosiphon okamuranus) seaweed was used as the tested material. First, four-week old rats that had been put through quarantine and acclimatization for two weeks were grouped with random body weight. The oral administration fucoidan samples for this experiment were adjusted with distilled water. 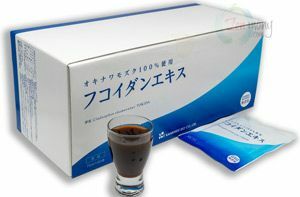 Since fucoidan is a food material, oral administration was chosen. Following the medical product toxicity test guidelines, three fucoidan high-dose rat groups were formed with corresponding dose upper limits at 2,000 mg/kg, 400 mg/kg, 80 mg/kg, in addition to a control group. Five rat specimens, both male and female, in each group were given 15 ml of fucoidan liquid per one kg of body weight. Fourteen days after that, all the organs and tissues were visually inspected. Looking at the summary of the results for the single fucoidan oral administration, it is clear that there were no deaths, but when administering 2,000 mg/kg in both males and females, loose stool could be observed. The body weight did not change, nor were any disorders (or side effects) caused by fucoidan observed in organs and tissues. Concerning the loose stool, it has been reported (4) that carbohydrates that are difficult to absorb can cause diarrhea and loose stool in rats, mice, dogs, etc. Accordingly, it was presumed that loose stool in rats in this case was caused by osmolality resulting from the intake of a large amount of difficult-to-absorb saccharides. Based on these data, it was concluded that a single lethal fucoidan dose is above 2,000 mg/kg and that a single dose of less than 400 mg/kg is considered non-toxic. In this repeated fucoidan intake experiment, the amount of fucoidan intake was the same as in the previous single-time experiment and lasted for 28 and 29 days with one intake per day. During this experiment, the statistical data were gathered based on such factors as general state, food intake amount, water intake amount, ophthalmological inspection, urine analysis, hematologic test, stool occult bleeding inspection, autopsy examination, organ mass test, and tissue histopathologic examination. As a result, as in the previous experiment, loose stool could be observed at the 2,000 mg/kg fucoidan intake. In addition, at this intake rate, the cecum weight increase and its swelling could be visually observed in both male and female specimens. It should be mentioned that this cecum weight increase was not accompanied by any histopathologic changes. As shown in Graph 2.9, there is no significant difference in weight change between the groups taking fucoidan and the control group. From the hematologic test data, we can see a significant low value for alkaline phosphatase and a significant high value for creatinine in the 2,000 mg/kg group, but this alone is not enough to be called meaningful from the toxicological point of view. From this, abnormalities could be observed in the 2,000 mg/kg repeated fucoidan intake group, and these included loose stool and diarrhea. There are existing reports that mention swelling of the cecum, loose stool, and diarrhea in rats caused by difficult-to-absorb carbohydrates. Based on these data, it can be concluded that daily fucoidan intake over one month below 400 mg/kg is not toxic. Unfortunately, we currently have fucoidan safety experiment data only for fucoidan extracted from the Okinawa mozuku seaweed. Please have a look at our fucoidan products. 笠原文雄　1980. New Food Industry, 22. 12. 岡崎啓幸ら　1994. J. Toxicol. Sri. 19. Suppl.,Ⅲ.